Manufacturer of custom milled wide plank flooring with designer showrooms in Riverhead, Greenvale, Greenport & East Hampton New York and North Kingston and Middletown Rhode Island. Showrooms also feature kitchen design, windows and doors. 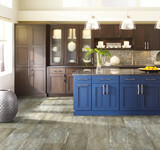 *Authorized Dealer of Shaw Floors* We are a full service flooring and Hunter Douglas store. We carry many types of flooring; hardwood, ceramic & porcelain tile, natural stone tiles, carpet, Shawliving area rugs, Mannington & Tarkett fiber and resilient floors, luxury vinyl tiles, laminate flooring, cork,Trillium bamboo. We can also service your commercial needs. We are a Hunter Douglas dealer. Hunter Douglas sells honeycomb blinds, aluminum mini blinds, verticals, roman shades, roller shades, screen shades, wood blinds, and faux wood blinds. Our customers love us! Come visit our "WALL OF 10"- WHERE YOU CAN SEE HOW OUR CUSTOMERS RAVE ABOUT US. We opened our doors 63 years ago as a family business and we have remained such, giving you a unique shopping experience of devoted attention, with detail to your individual needs. 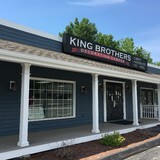 We pride ourselves in providing you with a knowledgeable staff and the perfect floor- carpet, vinyl, wood, rugs, runners, laminate- from our vast selection, to accommodate you. Whether you're looking for luxury, kid friendly, pet friendly, commercial, rental, or just comfortable we have you covered. After finding your match our professional craftsmen will take care of the rest, With many years of installation experience you can rest assured your home is in the best hands. Fashion Floor is a full line residential and commercial sales and installation flooring company. We carry carpet and rugs, stone and procelain tile, natural and prefinished wood and vinyl (LVT and VCT) laminate and engineered wood from from a broad range of suppliers. 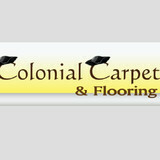 We provide and install window, wall and floor coverings. Products include carpet, cork, vinyl, area rugs, tile, wallpaper, fabrics, blinds, custom window treatments, re-upholstery and slipcovers, and custom bedding. At Carpet & Tile by the Mile, we can help you choose from luxurious carpets in thousands of colors and patterns or the handcrafted beauty of exotic and domestic hardwoods. We can also help you pick from our diverse styles and designs of intricate patterned tile or our durable laminate flooring, luxury vinyl tile, and "Green" flooring such as cork and bamboo. The staff at Carpet & Tile by the Mile provides personal service and a vast knowledge of flooring choices for every room in your home. Let us help you express your personal style with the attention and service you deserve. We offer expert installation or expert advice to the Do it Yourselfer! We are a Family owned and operated company since 1972 and equipped to handle all your flooring needs from Residential to Large Commercial jobs. We will work with you from design to installation to ensure you love your new space. In addition to Carpet One's Exclusive Brands, we carry a wide selection of carpet, laminate, hardwood, tile and vinyl flooring from other leading manufacturers to ensure you'll find the product that's right for your unique style, budget, and surroundings. We also have you covered when it comes to area rugs and binding, environmentally-friendly flooring products and cleaning supplies to keep your floors looking as good as new for years to come. With 1,000 stores worldwide, we not only have enormous buying power, but we have partners in all of the major brands, mills, and manufacturers. We’ve done the research for you. Just tell us your needs, and we’ll satisfy them beyond your expectations. Look to us for one of the largest selections of carpet, hardwood, laminate, ceramic tile, vinyl, area rugs and more — and you'll always find the best products and great savings, every day. Cluff Carpet One Floor & Home is so sure you’ll be 100% happy with your new floor. Give us a call to request a FREE in-home or on-site estimate and we'll come to you. Home Floors Today is the only complete certified floorcovering company in North America in carpet, wood and specialty flooring installations. We are committed to live up to our word, "BEST BUYS , BEST INSTALLERS". We are a design center that can meet a multitude of your decorating needs. Hardwood floors, natural stones,fabricating countertops, carpeting, porcelain and ceramic tile, vanities, laminates, and luxury vinyl tile. Founded by Alix G. Perrachon in 1991, Alix Unlimited is a customized shopping service for handmade oriental and decorative carpets servicing the interior design and architectural trade and private clients. 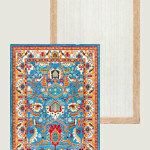 In helping clients select handmade rugs, Alix guides them toward quality, value, and esthetics. Moreover, she highlights the importance of opting for a handmade rug –derived from organic materials – the ultimate green floor covering. 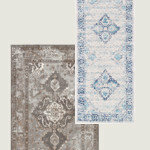 Alix's extensive variety of resources gives her clients practically unlimited choices in selecting a rug. She is adept at working in virtually any style and budget. Her clients may choose from antique oriental or European carpets to vegetable-dyed reproductions of traditional rugs from countries including India, Pakistan, Egypt, Armenia, China, Turkey, and Afghanistan. Through Alix, clients also have access to the New York tri-state area's most exclusive Tibetan carpets and handtufted dealers. 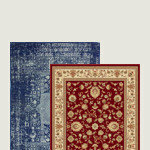 Rugsale.com was established in 1999 with a commitment to providing consumers area rugs at discount rug prices. 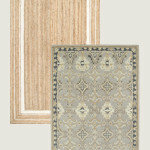 RugSale.com is a leader in online area rugs and has operations all over New England. 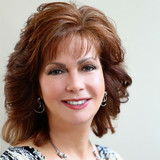 Rugsale.com boasts three generations of experience in the rug industry and home decor.We are currently working on a rug catalog which should be available by this fall. RugSale.com provides over 70,000 name brand designs all at low internet prices and an unsurpassed customer service experience. RugSale.com sells only first-quality products directly from the manufacturer to your door with never a charge for shipping. Extra shipping charges will apply for Alaska and Hawaii. You will never pay sales tax on your purchase with RugSale.com. International Shipping is available with your order as well. For details, please call us at 1-866-784-7444. We have always been 40% less than department store prices on first-quality area rugs and runners, now you get those low prices along with free shipping and no sales tax, you could be paying as much as 50% less! (please note a processing fee may apply) It’s the best deal around – RugSale.com! Wall Street Wood Floors is located in Westport, Connecticut. For over twenty years we have been meeting Westport and Fairfield County's hardwood flooring needs. If you have any question about your hardwood floors, please give us a call.